Call of Duty 4: Modern Warfare. Like Halo: Combat Evolved, I dare say that Modern Warfare changed the face of combat shooters that are played in the first-person perspective. The default controls of Modern Warfare have been ported to plenty of other shooters, securing its niche as one of the definitive games of this generation...so far. With Modern Warfare 2 on the horizon, will its predecessor hold its place as one of the most popular online games played today? 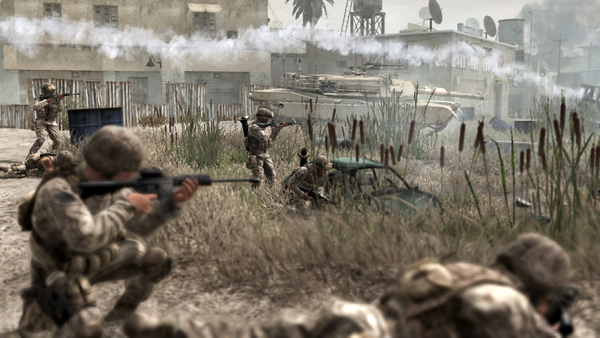 We don't know, but the recent flood of Modern Warfare 2 information has inspired your resident gun nut to return to the original; quite literally the first current-gen game that landed at the McLaughlin home. 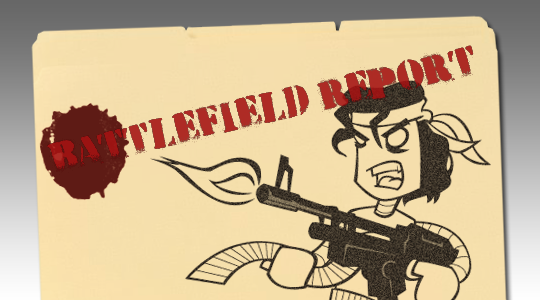 Killstreaks are an event that occur several times in an online match, sometimes devastating and sometimes impotent. Getting three kills in a row without dying will grant you a UAV (Unmanned Aerial Vehicle) scan, which shows the location of each enemy on your radar (provided that they do not have a jamming perk equipped). Five kills in a row is good for a one-time airstrike, and seven kills will get you an attack chopper that buzzes around the map for 30 seconds, mowing down anyone in the open. Page created in 0.9448 seconds.